According to the Pet Food Institute, pet food sales reached $21.4 billion in sales in 2014. That is up nearly $2 billion in five years. There is no question that pet food is big business. Big box retailers, supermarkets, discount grocers and small pet boutiques line their shelves with so many options in colorful packing touting strong marketing messages claiming the benefits of a particular product or brand. Move beyond the marketing lingo (organic, high protein, grain fed, etc) and the list of ingredients and understand the following three variables first. 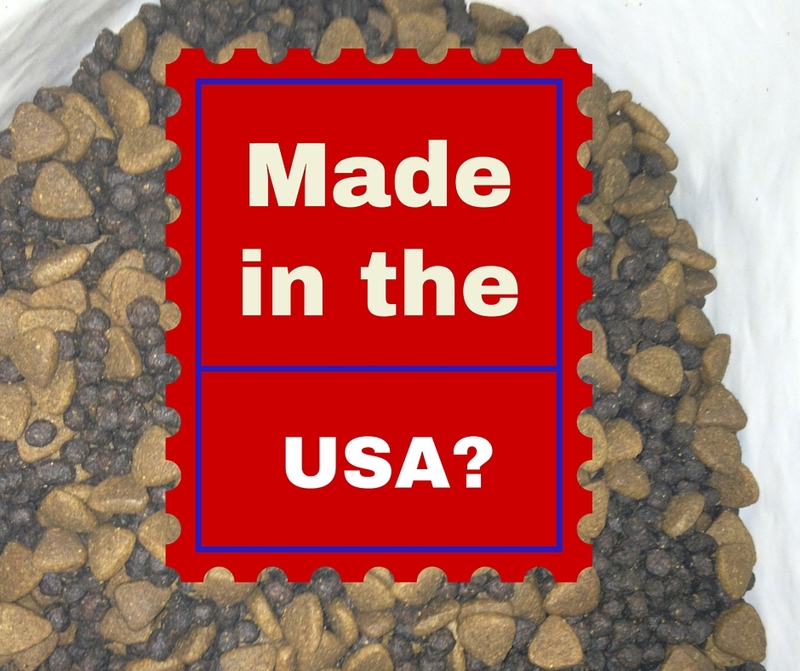 Made in the USA – With the recent news regarding the potential danger of jerky chews produced in china, pet food companies have been quick to react by stamping their packaging with a “made in the USA” emblem, often accompanied by an American flag. But buyer beware. 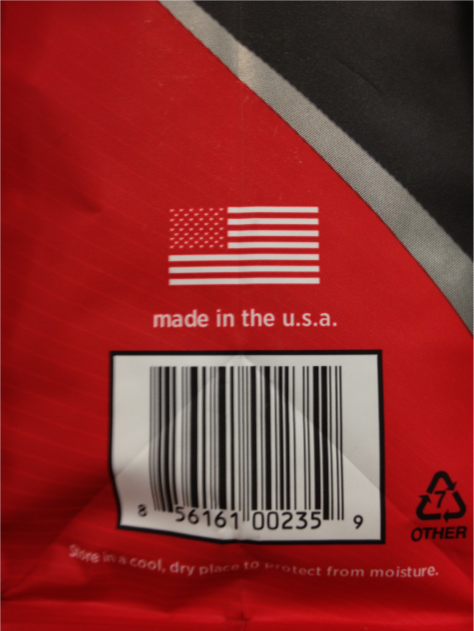 Just because the product is MADE in the USA, does not mean all the ingredients are sourced in the USA. If you see a simple American flag, call the manufacturer and ask about their ingredient sourcing. Be sure to be specific and ask about ALL ingredients including vitamin packs, pro and prebiotics and other supplements. It may surprise you to learn that not all ingredients do in fact come from the USA. But is that necessarily bad? Not always. Some companies use duck from Canada and others use lamb from New Zealand. These two countries are thought by some to actually be better sources for these ingredients than what is raised here in the US. And what about vitamin packs from Europe? The lesson here is to dig a little deeper. Don’t be fooled by an American flag stamp on your pet’s food bag. Take time to understand what you are really feeding them. Recall History – Just like with human food, we have also seen recalls with pet food. Many times these recalls are due to foreign objects or suspected bacteria related to the product but they can also be voluntary due to the formulation of the actual product not matching the labeling on the packaging. While these products may not harm your pet, it’s not great that your pet may be eating something different than what the label is detailing. Either way, be cautious of companies with multiple food recalls. It may signal a lack of process or a breakdown in procedures at the production facility. Stay informed by signing up for recall alerts from Dog Food Guru or Dog Food Advisor to make sure you are up to date on any changes. Production Facility – Did you know that many pet food manufacturers share the same production facilities? This means that while your particular brand may not have had a recent recall, it still may be being produced in a facility that is producing a produce line that has been recalled. This means that there is a risk of cross-contamination when the production facility changes recipes from one vendor to the next. 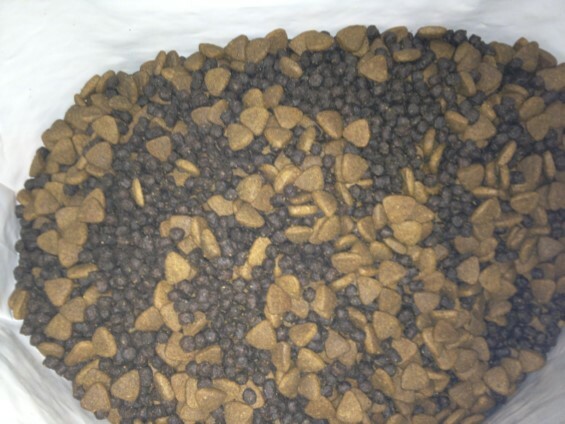 I recently purchased a bag of my dog’s food and was surprised to see this kibble shown in the photo. The kibble should have only been the triangular shaped piece so imagine my shock to see all those small round dark pieces. After contacting the company, they explained that it was a production error and when switching formulas they have a few bags at the end that are mixed. These bags are supposed to be pulled but apparently, this one wasn’t. However, it did get me thinking as to whether any type of cleaning occurred to the equipment between the two runs. So do your research. Of course finding the right formula and quality ingredients is the most important factor in deciding which food to feed your pet, but don’t forget to do a little extra research to make sure your pet’s food is as safe as possible. ← Really? April is all about Greyhounds?